It is not known if Derek Rivers played American football in his high school days but his college career in the sport speaks volumes about how good he is on the gridiron. The defensive end is signed to the National Football League (NFL)’s New England Patriots but due to some unforeseen and unfortunate events, he has not seen much action with the team. We take a look at how Derek Rivers started his journey to the big league and how far he has gone in his career, both on amateur and professional levels. 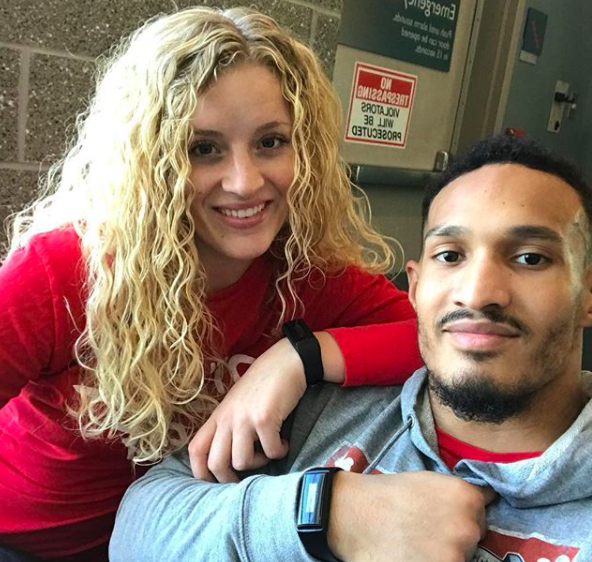 Born on May 9, 1994, Derek Rivers was only five months old when his family relocated to North Carolina from Augusta, Maine (his place of birth). For his educational and career pursuits, he attended Kinston High School, Kinston, where he probably played football though there are no records on that. He then proceeded to Fork Union Military Academy to further sharpen his skills and spent a year at the boarding school before jetting off to college at Youngstown State University. While in college (from 2013 to 2016), Derek Rivers stood out among his peers. He made a school record of 41 career sacks, this includes 14 garnered in his senior year. Also in his senior year, the defensive end led his team in a match that is placed among the best. Though they lost to James Madison University by 24-14, Derek recorded the top statistically rated defenses in the FCS at the National Championship. His college career also boasts 56.5 tackles for loss, 47 QB hurries, and 119 solo tackles, leading to major recognition for him. His productive efforts as a college football player didn’t go unnoticed as Rivers was recognized by various critics as one of the standouts. He left college as a three-time 1st Team All-Missouri Valley Football Conference performer and was also named FCS All-American two times. At the end of his collegiate career, he was rated FCS’s number 5 All-Time in career sacks history. Derek Rivers took his footballing skills to a professional level in 2017. During the year’s NFL draft, the New England Patriots secured his services in the third round, 83rd overall. Sadly, he didn’t get to strut his stuff as he sustained a career-threatening injury during training camp. A torn ACL kept him on the sidelines for the rest of the season. As a result of his inability to play for the team, Derek entered the injured reserve on September 2, 2017, just a few months after he was drafted. On June 8, 2017, the New England Patriots offered Derek Rivers a 4-year deal worth $3,304,896 after selecting him in April the same year. Upon sealing the deal, Rivers cashed in on the amount ($802,896) the deal guaranteed and the signing bonus of $802,896 that came with it. His net worth is not confirmed at the moment but it is expected to sit within the range of $1-2 million. Derek Rivers was born to Mary Leinonen (mother) and John Rivers (father) and he seems to be the only child birthed by the couple. There are no details about the occupation of his parents or where they are at the moment but his father who apparently played football and basketball during his days at Virginia Tech proved to be a pillar of support to young Derek during his formative years. He would help him with training tips and encourage him to follow the right path to secure his future in the sport. He married Lauren Rivers in 2017, the same year he declared for and entered the NFL. They don’t have any children yet, as of the time of this update. Lauren is not much of a spotlight hogger and as a result, not much is known about her. For the most part, Derek Rivers has all it takes to play in any position in the NFL. Standing at a height of 6 ft 4 in (1.93 m), the defensive end weighs 248 lb (112 kg) which complements his massive height. He has an arm length of 32 3⁄4 in (0.83 m) and a hand size measuring 9 3⁄8 in (0.24 m). His excellent body stats can be put to good use when the football player sees more action on the gridiron.